The information on this website is for guidance only and is not intended to replace professional medical help, should that be needed. 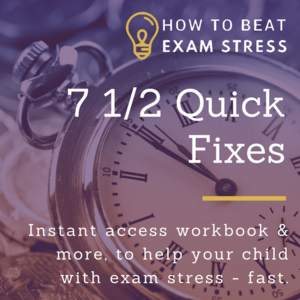 It is intended for parents / guardians / tutors / teachers to use with young people to help them with exam stress. It is also suitable for university or college students to use for themselves. 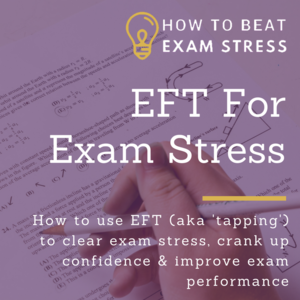 Beat Exam Stress (“site”) is owned and operated by Clare Josa of Beyond Alchemy Ltd, a company registered in England and wales under company number 07013886 and with our registered office at Beyond Alchemy Ltd, Colemans Hatch, East Sussex, TN7 4HG. You shall not purchase any services or products from our site if you are below the age of 18 years old because under this age, you do not have legal capacity to enter into a contract. 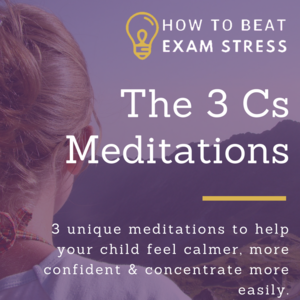 The information on the BeatExamStress.com site is intended for over adults – the parents, guardians, teachers or tutors of young people or over-18 students. 5.1 These Terms will become binding on you and us and a Contract will come into effect between you and us only upon our written acceptance of the order issued to you by email hello@beatexamstress.com or when we contact you to tell you that we are able to provide the services or products to you. We are not bound by the order unless we accept it in writing. 8.1 We will supply the services to you from the date of your order. c) we will use every effort to repair or fix the defect within 30 days. 9.2 As a consumer, you have legal rights in relation to services not carried out with reasonable skill and care, or if the materials we use are faulty or not as described. Advice about your legal rights is available from your local Citizens’ Advice Bureau or Trading Standards office. Nothing in these Terms will affect these legal rights. 10.1 In relation to digital content not on a tangible medium, you may cancel the contract at any time up to 30 days after the day on which the contract is entered into by emailing hello@beatexamstress.com and applying for a refund. 11.2 Once we have begun to provide the services to you, we may cancel the contract for the services at any time by providing you with at least 30 calendar days’ notice in writing. If you have made any payment in advance for services that have not been provided to you, we will refund these amounts to you. 12.1 Prices of the services and products are specified on our site and confirmed on the checkout page. We may change our prices any time, but that will not affect the prices for confirmed orders. 12.2 Despite our best efforts, there may be incorrect prices on some of the services or products. If the correct price is less than a price shown on our site, the lower amount will be charged. If the correct price is higher than the price specified on our site, we will inform you of this and ask whether you wish to continue with the order with the actual higher price. If the error in price is obvious, unmistakeable and mispricing could have been recognised reasonably by you, we will not be liable to provide the services or products to you at the lower price that was incorrect. 12.3 Payment for services is to be made in advance by credit or debit card or Paypal, using our online payment portal, except where agreed otherwise in writing between us. 13.1 We are responsible for loss or damage you suffer that is a foreseeable result of our negligence or our breach of the Terms, but we are not responsible for any loss or damage that is not foreseeable. Loss or damage is foreseeable if it is an obvious consequence of our breach or if it was contemplated by you and us at the time we entered into this contract. 13.2 Services and products supplied by us are for non-commercial purposes only. You shall not use the services or products for any business or re-sale, commercial purpose. We are not liable to you for any loss of business, loss of profit, loss of business opportunity, or business interruption. 14.5 the time for performance of our obligations will be extended and our obligations under these Terms will be suspended for the duration of the Circumstances Beyond Our Control. 14.6 If Circumstances Beyond Our Control occur and you do not wish us to provide the services, you may cancel the contract in accordance with clause 9. We may cancel the contract if the Circumstances Beyond Our Control continues for more than 4 weeks in accordance with our cancellation rights. 15.1 Any notice to us should be in writing and sent to us by e-mail, or by pre-paid post to Beyond Alchemy Ltd at hello@beatexamstress.com. 15.2 Any notice to you will be in writing by e-mail, or by pre-paid post to the address you provided us with on the Order. 16.1 We may assign our rights and obligations under these Terms to any another person. If there is any such assignment of rights and obligation, we will inform you in writing or by email. 16.2 You cannot transfer your rights and obligations under these Terms to any another person without our written approval. 16.3 This contract is only between you and us. No other third person shall have any rights to enforce any terms. 16.4 Each paragraph of these Terms is separate and distinct form other. If any court or relevant authority determines any of paragraphs of these Terms is unlawful, then such determination will not affect other paragraphs and all other remaining paragraphs will remain in effect and full force. 16.5 Our failure to insist that you perform any of your obligations under these Terms, or to enforce our rights against you, or delay in doing so, does not mean that our rights against you have been waived and does not mean that you need not comply with those obligations. Any waiver by us of your default will be only in writing, and it does not mean that we will waive any of your future defaults. 16.6 English law governs these Terms and contract between you and us. English courts will have jurisdiction on any dispute that may arise out of this Terms or contract between you and us. However, you may bring proceedings in Northern Ireland if you are a resident of Northern Ireland, and you may bring proceedings in Scotland if you are a resident of Scotland. 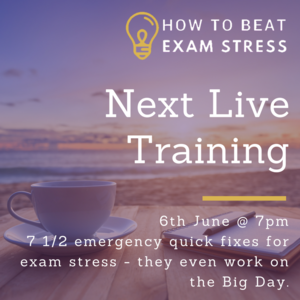 17.1 For any questions or queries you can or e-mail us at hello@beatexamstress.com .